Bedfordshire lies over a geological feature of Great Britain which runs in an arc from roughly the Wash to the Isle of Wight. 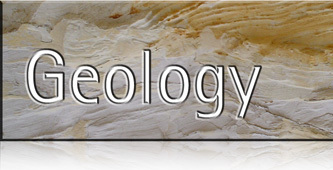 Its geology is varied and complex and a great deal of related information is available at the county’s geological website www.bedfordshiregeologygroup.org.uk where specific leaflets can also be downloaded. Our grateful thanks are owed to the Bedfordshire and Luton Geology Group for their assistance in preparing the accompanying pages. Sands were laid down from around 115 million years ago as, after 40 million years as dry land, the area suddenly became flooded by the sea, water bursting across what is now southern England, forming a narrow channel running south west from the Wash, across to the Isle of Wight. The sand accumulated over a long period of time during which many interesting features developed which careful analysis has been able to detect. The sand beds later became capped by layers of clay deposited when, following further geological changes, the area became the bottom of a tropical ocean giving rise to a further accumulation of fossils. Subsequent erosion, mainly by glacial ice, has scrubbed away the accumulated geology in some places. 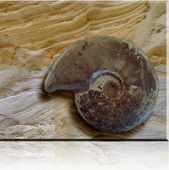 Removing the clay and making use of the sand (in industrial applications) revealed further potential from the fossil and coprolite resource revealed during earlier quarrying of these resources.